Publishers are having a problem with ebooks. The problem is that the new tablet readers are working and ebooks are selling, but there are worrying signs that prices are falling, competition is increasing, and there is a race to the bottom. Best-selling print books used to cost $24.99 $19.99 or $14.99. Now there is an increasing tendency for best sellers to be priced low, low, and lower. It is partly because of Amazon and Apple’s success at controlling the users and their increasing dominance over pricing and discounts that is leading big publishers to consolidate. The book publisher’s nightmare is that they become irrelevant as the book that customers buy is an increasingly trivial electronic object. Apple and especially Amazon disintermediate the publisher, traditionally placed between the author and the reader, by directly connecting the two parties. It doesnt help that the simplicity and ease of producing an ebook mean that the publication process appears to bring nothing to the party. 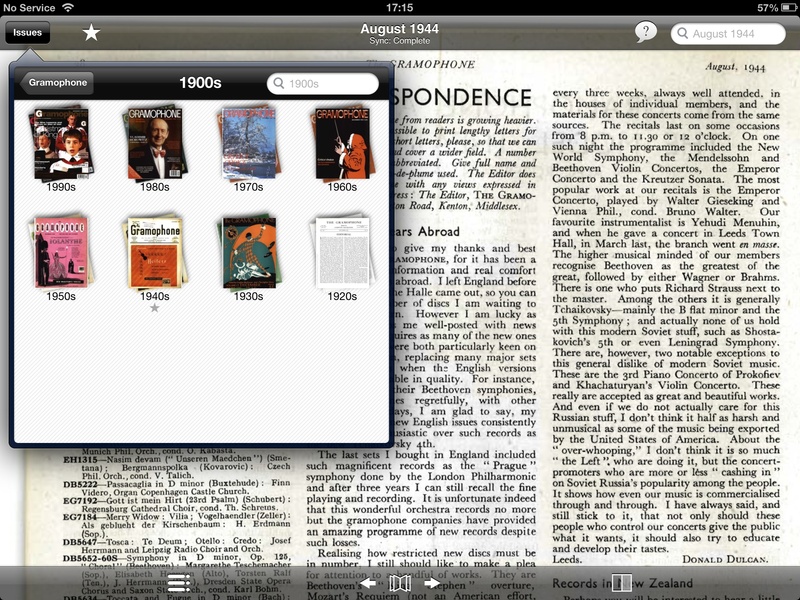 Anybody can now produce an ebook from a book-sized Word file. Since the book publishers are so uneasy about their precarious postion in the tablet publishing process, it is perhaps strange that many magazine publishers have decided that digital magazines should be treated in much the same way as ebooks. Many of our best magazines, to pick two standout examples: The Week and The Economist have taken the view that their iPad apps should work in pretty much the same way as an ebook. Reduce the design element, lose much of the structure of the print publication with its careful layout, drop some of the illustrations: skip some of the links and cross references and standardise the typography. All in the aim or producing a simplified and easily reflowed reader experience for a range of tablets. While simplicity and ease of use are strong qualities, there are signs that the goal of producing consumer oriented magazine apps that you can sell per issue at a price of say $4.99 an issue or for an annual sub at $150 is not going to work out too well. The Economist has been getting some flack on this score on its iTunes page. Part of the difficulty that all these ebook style magazine apps face is that it is hard to deliver an app that feels like real value for $150 when it also feels and reads much like an app made from a web site, or an ebook app which will be much cheaper than an annual sub. The fact that you get a new one each week does not necessarily increase the perception of value.The customer experiences a series of weekly app episodes which do not connect and each feel rather thin and insubstantial and the whole subscription really does not amount to more than a collection of dislocated issues. The collection probably cannot be searched and once you have them on your device the issues hard to keep track of. The iPad has just replicated the problem that we know we have with printed back issues: they are hard to access and probably impossible to search. They don’t in their virtual form ‘feel’ more valuable than a pile of yellowing print issues on a bookshelf. One of the problems with this ‘issue-based’ way of thinking about magazine apps is that these app designers have lost the value of the archive in the proposition that is being built. It is as though they have been designing magazines that could be read on a collapsible stool or a shooting stick, whereas for many consumers the experience of reading a magazine should be like sinking back into a hammock or a plush leather chair with all the richness of the magazines cultural heritage at one’s side. At Exact Editions we have always regarded the back issues and the archive for a magazine as an essential part of the value proposition in its digital form. If publishers can achieve similar value in the bottomless digital realm, they could end up accomplishing the notion of magazine-as-service – a massive archive of content that is not just a historical curiosity but which has everlasting relevance, and an ongoing reader payment relationship like cable TV enjoys. Many subscribers will have very little prior idea of the richness and extraordinary variety of the Gramophone archive. They will be surprised and delighted when they dabble in it and sample it through browsing and searching. But I do not think that many new subscribers will be buying the magazine simply because of its archive. Most magazine customers do buy magazines mainly for the interest they have in the current issue and the next few issues. That is not really the point of having the archive available to all subscribers. The point of having the archive is that the subscription will seem to be much more valuable to any subscriber, and the subscription is indeed a much more valuable and luxurious offering. The point is to dramatically over-provide because that way the subscription appears to be much more valuable than a collection of 6 or 12 one-off issues. And for that reason it is more valuable. Appearances count. When a year’s subscription gives you complete access to a magazine that covers the history of the recorded music industry, an annual subscription of $59.99 is going to seem more palatable. Going back to the predicament of book publishers: $59.99 is a price that no book publisher can seriously contemplate for an ebook. Very few punters will buy books at $59.99 — we are seeing that magazine subscribers think about digital things differently. To many magazine publishers it is not immediately obvious that their archive is an important and valuable asset. The early signs are that the Gramophone subscribers love it. If magazine publishers can turn their excellent brands into ‘future-proof content repositories’ they are sitting in a good place.